This will be my last post on the Blogger iteration of The Sixth Estate. My blog has moved, along with all my previous posts... to Blogware. The Sixth Estate now at http://roninkengo.blogware.com/. The new site is a work in progress, so stay tuned. In the mean time I've been playing around with a new site called Vox. Vox combines Blogger, Myspace, Flickr and Youtube all into one media friendly package. It's very cool. I was lucky enough to be invited during the beta phase, so for now it's invite only. But watch out! It's the next big thing. Check out my Vox Site. I really have been meaning to update the site, but life has a habit of getting in the way sometimes. *Phew* That was a close one. Anyways, on to the reason I am writing this post. In lieu of the recent RCMP and CSIS operation that apprehended 17 men accused of plotting to bomb targets in the Toronto area and allegedly wanting to storm Parliament Hill, there has naturally been a lot of discussion on the internet. People of all political stripes in Canada have been weighing in, with the general response being one of shock, fear and anger. We weren't attacked, but the recent arrests show that we very well could have been. We were lucky we weren't attacked, but now the bubble of complacence has been burst and in its place we see fear and confusion. We should not be afraid. We should not be afraid because it is the very reaction terrorism is designed to elicit. Rather than acting rashly and reacting out of fear or bigotry, Canadians need to carefully examine the reasons why something like this could happen. At a time like this Canadians need to come together and show the world that this kind of thing will not shake us from our daily lives. Pundit, punk rocker and blogger Warren Kinsella is spearheading a campaign to do just this. He and several others have started a website http://www.iamnotafraid.ca/ for people to post their artistic/photographic/poetic responses/ reactions to this troubling event. The website will also help to organize a rally at a Blue Jays game, designed to raise people's collective voices on the subject and show everyone that we are not afraid. I think it's a great idea, and exactly the kind of thing Canadians need to see and be a part of right now. Here's more info from an article in the Toronto Sun. High-profile party planners have mobilized once again during a tense, crisis-filled moment for the city, announcing plans to host a party at the Rogers Centre and send a message to would-be terrorists. The "I am not afraid" campaign is meant to be "positive and populist," says Warren Kinsella, former Liberal strategist and aide to ex-Prime Minister Jean Chretien. Kinsella is the mastermind of the campaign, but has also secured the support of Liberal ex-MP Dennis Mills and Senator Jerry Grafstein -- famous for bringing in the Rolling Stones to headline SARSstock three years ago. The party drew more than 450,000 people to Toronto at a time when the city was reeling from the economic fallout of the respiratory disease. The trio is hoping to rally residents -- "no politicians, just regular folks" -- at a Blue Jays game in the next couple of weeks and reclaim spaces the alleged terrorists targeted, "where we would make some noise and raise our collective voices." Kinsella says he was inspired by the residents of London who stood up in defiance of the terrorists who bombed their subway system last summer, killing 52 people. For more info check out I Am Not Afraid.ca and Warren Kinsella's website. Back to regular posting very soon... hopefully. Went to a great show at Second City last week, featuring an acquaintance of mine the one and only Nug. The show, Rings! 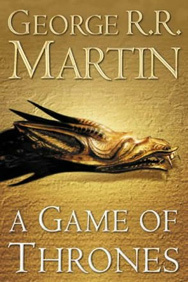 is the story of three guys trying to adapt The Lord of the Rings into a one hour comedy show. If you enjoy Lord of the Rings in any form or are a geek, I know for a fact you'll love this show. Plus they let you drink during the show! Win-Win! That's right, RINGS! 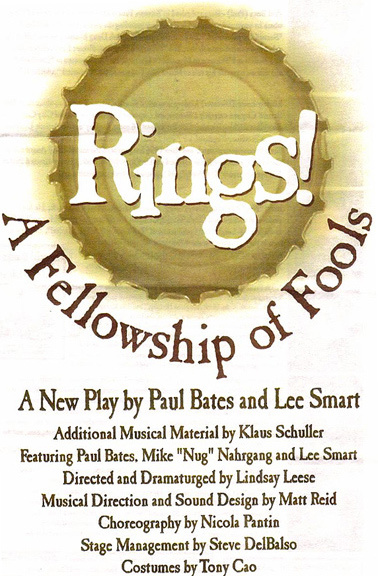 : A FELLOWSHIP OF FOOLS has only three shows left. Only three more chance to see the show NOW Magazine called, "a joy to watch"! If you haven't seen it, now's your chance. After these three shows, it goes away forever... unless there's a sequel. Don't forget, Monday's show features an improv set FOR FREE!! 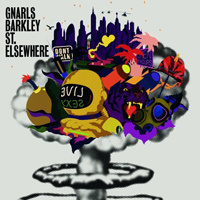 Check it out if you can, I highly recommend it. What If Al Gore Was President of the United States...? Oh Saturday Night Live, you never cease to be sporadically hilarious. Gone are the days of Murray and Belushi, Sandler and Farley, Piscopo and Murphy, Ferrell and Meadows... Yes SNL's glory days are behind her, but every once and a while they get it right again. 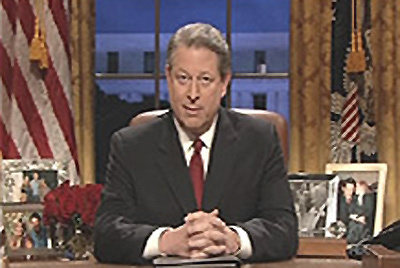 They opened last weeks show with an announcement from the President of the United States... Al Gore. Very funny. 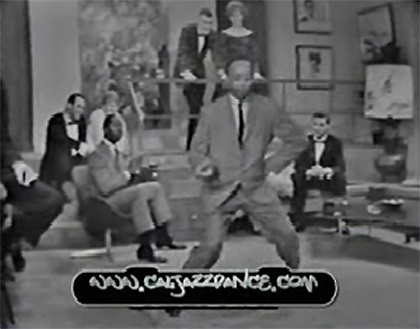 Check out the video at Crooks and Liars. I've got some more embedded videos coming your way! An awesome mashup trailer of the Charlton Heston "classic" The Ten Commandments. Essentially making the film look like a stock 1980's Teen Comedy. If only the real film were like this... And not the over-blown, over-rated ridiculous spectacle it is. If I were to ever buy a pair of bookends(DVD-ends?) I would most certainly buy these. So nerdy, yet so cool. 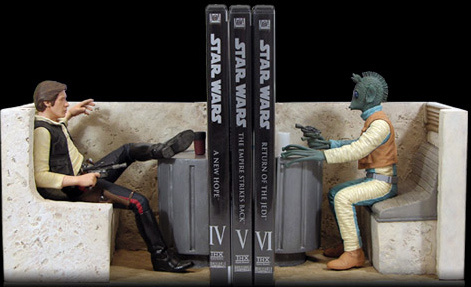 Pre-order your own Mos Eisley Cantina Bookends here. Oh geekdom, you never cease to amaze me. And I'm spent, just a few things to note blogwise. I've changed the layout of the site slightly... This is a precursor to a total site redesign hopefully by the end of the summer. My site is approaching its third anniversary, and although I didn't celebrate the second, I will most certainly be doing something special in a few months to mark the occasion. In other news I was the victim/benefactor of an internet meme on a site that I am a member of. It got a little out of control, but was all in good fun for the most part. Check out some of the pictures on My Flickr Page.